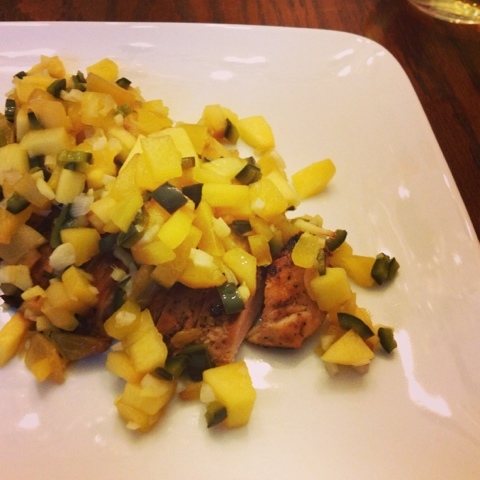 If you liked our Pork Chops with Mango Chutney, you'll love this dish! 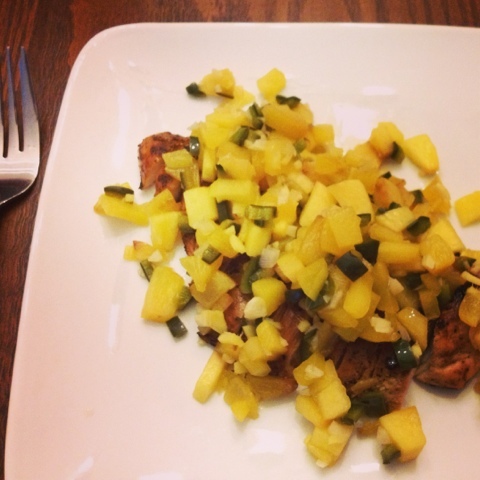 Tonight we're making orange grilled chicken topped with a peach ginger chutney. One of our favorite ways to serve up lean protein is to top it with a fresh salsa or fruity chutney. They are so deliciously simple, fresh & healthy! 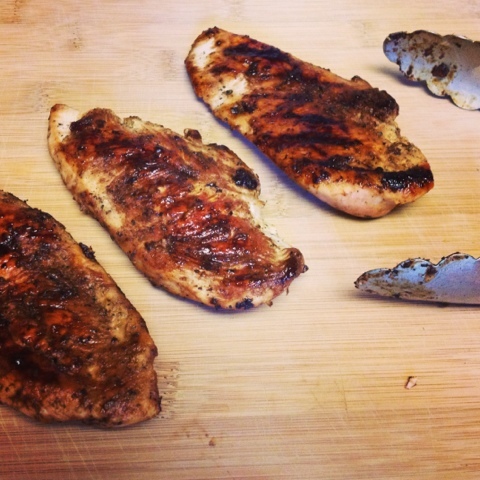 We start by grilling up thinly sliced chicken breast seasoned up with garlic, onion and a splash of orange juice for the perfect citrusy bite. We put a healthy spin on the typical chutney which consists of fruit, vinegar & sugar. Tonight we used fresh peaches, garlic, ginger, shallot, white balsamic vinegar, orange juice and just a teaspoon of brown sugar. We finished this off with a poblano pepper for the perfect balance of sweet and spicy. Simmer this fruity combination for 10 minutes to soften the fruit and allow the flavors to marry. 1. Heat grill pan to medium high heat and add olive oil. Season chicken with salt, pepper, garlic & onion and grill on each side about 5 minutes until cooked through. Add one tbsp orange juice to pan and toss chicken to combine. 2. 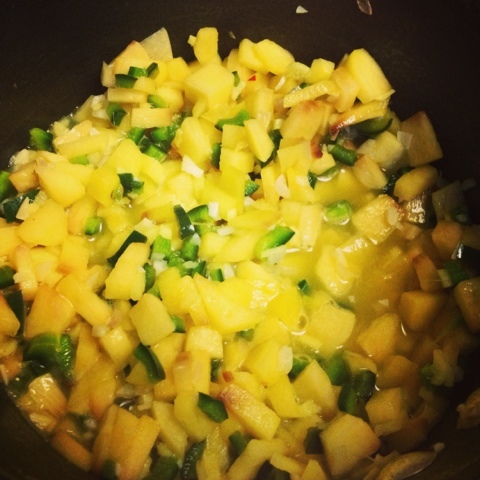 Add diced peach, minced garlic, minced ginger, finely chopped shallot & chopped poblano to small pot on medium low. 3. Add remaining orange juice, vinegar & brown sugar to pan. 4. Simmer chutney for 10 minutes to thicken. 5. Plate up chicken, top with peach chutney and enjoy! YUMMM!!! I love any kind of meat with a topping... especially fish or chicken! This looks delish! I see me trying this in the very near future! This looks delicious! I found you through Taste of Tuesday. I love your blog! Oh YUM. I absolutely love mango, so this recipe is right up my alley!